Sushi Set. Soy Sauce, Wasabi And Sushi Rolls. Japanese Food. Cartoon Illustration. Cute Stylish Characters. Royalty Free Kliparty, Vektory A Ilustrace. Image 50009823. 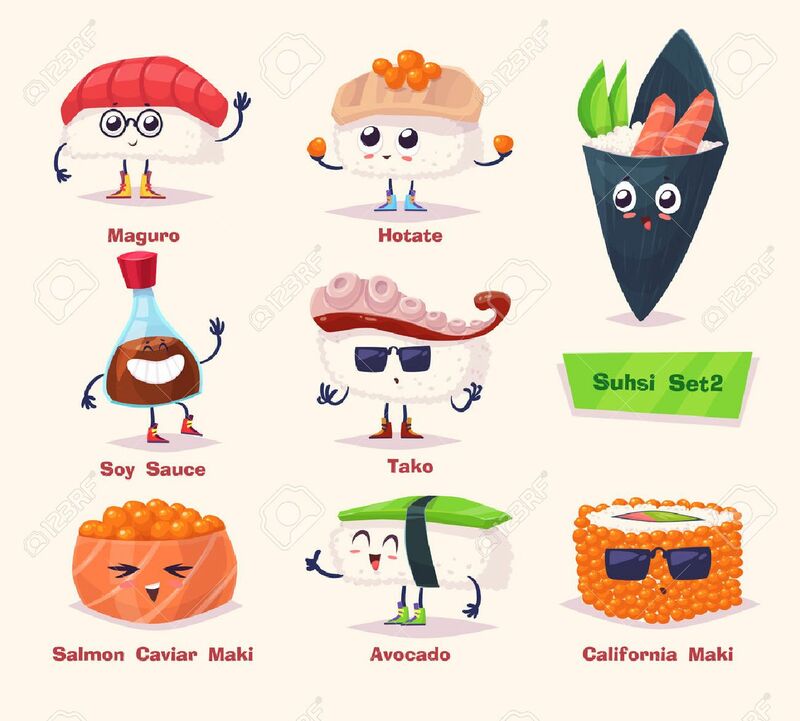 Reklamní fotografie - Sushi set. Soy sauce, wasabi and sushi rolls. Japanese food. cartoon illustration. Cute stylish characters. Sushi set. Soy sauce, wasabi and sushi rolls. Japanese food. cartoon illustration. Cute stylish characters.